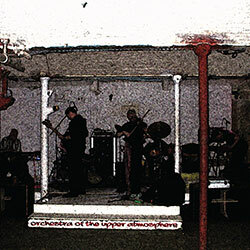 Declaring Terry Riley, Magma, Krautrock, and Sun Ra as influences, this is the fourth album from wind and keyboard player Martin Archer's Orchestra Of The Upper Atmosphere, an augmented six-piece UK ensemble whose rock affinities also embrace improvisation and minimalism, a heady mix of virtuosic playing with melodic intention and extremely detailed tapestries of sound; dreamy and elegiac. 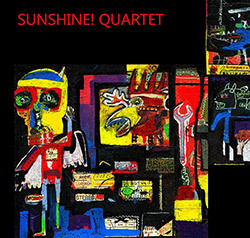 The quartet of Canadian electronics composer Chris Meloche and label leader Martin Archer on woodwinds and electronics orchestrated these pieces, performed with improvsations from Gino Robair on percussion and electronics and Lyn Hodnett on voice, for a 3 part work of rich interactive loops, drones and soundscape, ranging from spine-chilling to lush and lovely environments. 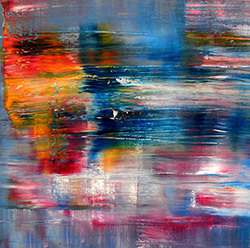 Saxophonist Martin Archer composed the five works on this, the 3rd release for Engine Room Favorites, his AACM-influenced big band with a tremendous orchestration of horns with drums, vibes, piano and bass, here with their most complex yet melodic and rich release yet, including melodic elements of folk music, powerful rhythms from prog-oriented rock, and free improv and jazz. 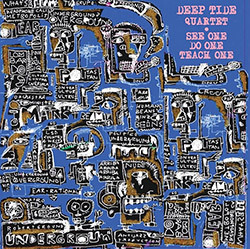 Originally a studio project, The UK Deep Tide Trio of Martin Archer on sax, Kim Macari on trumpet, Laura Cole on piano and Walt Shaw on percussion & live electronics evolved into a performing organization based on the strength of their open-ended approach to free jazz and improvisation, heard here balancing melody and structure in well-paced and thoughtful improv. 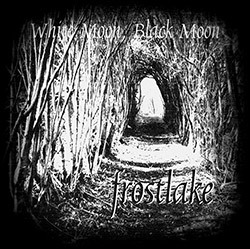 The debut album for frostlake, female songstress and instrumentalist, in a collection of songs with an eerie strangeness and English ethereal quality, with haunting melodies, layered vocals and unusual sounds in a band including Martin Archer on clarinet, Mick Somerset on winds, Nigel Manning on flute, and Steve Dinsdale on drums. 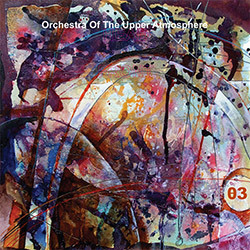 The debut release of the UK improvising rock group Orchestra Of The Upper Atmosphere, co-led by Martin Archer & Chris Bywater, in a double CD blending kosmische musik, space rock, and contemporary classical, an improbable meeting between Ligeti, Klaus Schulze, & Quarkspace, supplemented at times by a string quartet, a sax quintet, and a 25-piece mixed choir. 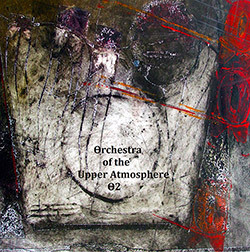 The improvising rock group Orchestra Of The Upper Atmosphere, led by Martin Archer, Chris Bywater, and Steve Dinsdale, in their 3rd album of innovative improvisation, haunting hypnotic grooves and blasts of sheer exuberance, with the band augmented by strings and trombone to give them a larger and more intense sound. 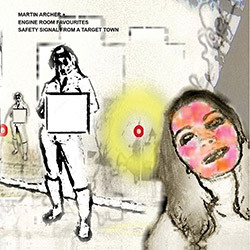 An absolutely impressive album blending advanced/progressive rock forms with improvisation, starting from collective improvisation and layering in the studio to create a sophisticated psychedelic music, the second album from this ensemble that is headed by Martin Archer (reeds & keys), Chris Bywater (keys & synth), and Steve Dinsdale (drums & percussion). 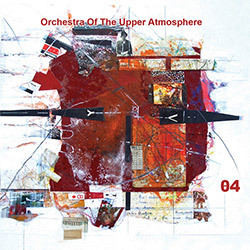 A small group setting where each performer brings a composition to the session, with Discus family members Martin Archer on saxophones, Corey Mwamba on vibraphone, Seth Bennet on double bass, and Peter Fariclough on drums, for jazz that balances melodic and formidable free improvisation. 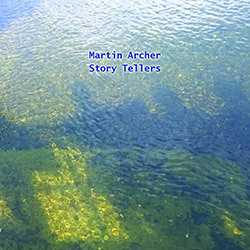 Martin Archer introduces a new sextet based on Chicago's AACM approach to free improvisation, in a 2-CD set of 6 large works divided into 5 or 6 chapters each, presenting character themes, rhythm ideas, composed duets, and improvised instructions; superb! 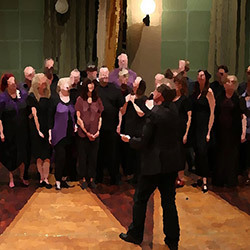 Juxtavoices is an anti-choir of 30 voices whose repertoire includes original compositions and arrangements of classic modernist poems and found texts, here in a CD/DVD release with a reinterpretation of early an Cabaret Voltaire recordings and a terrifying ascent into hell. 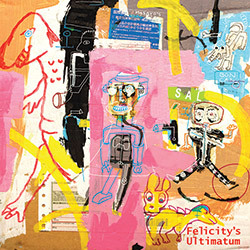 The 2nd release in a new series of small groups drawn from members of the Discus Music family, where the group meets, writes, rehearses and records in one single session, here developing ten compositions from all four players edited into a continuous sequence of structure and improvisation, embracing melody, texture and pure abstraction.